The UBC AeroDesign Team (formerly known as The UBC Heavy Lift Team) was founded twenty-three years ago at UBC to learn the process of aircraft design and develop competitive radio-controlled airplanes for collegiate competitions. 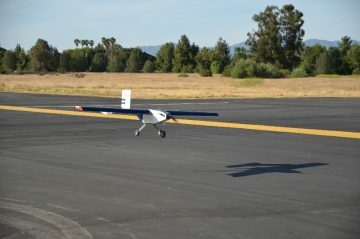 The team recently competed at the SAE Aero Design West Competition from April 22nd – 24th in Van Nuys, California. The mission: to lift as much payload as possible in a 10”x4”x4” compartment, while consuming only 1000 Watts of power and taking off within 200 feet. The team placed 11th overall in the Regular Class Division against 37 international teams and was very proud to receive a 3rd place award from SAE and Lockheed Martin for the design report. The competition plane, named North Star, featured a rear cargo hatch for loading and unloading the payload within one minute to meet SAE’s requirement. The team members also integrated 3D printed components into the plane which provided a tremendous amount of design flexibility. The Boundary Layer Wind Tunnel at the Mechanical Engineering Aerodynamics Laboratory was extensively used to collect motor data and test each subsystem of the plane for airworthiness. The propulsion subteam also pioneered a prototype power regulator to control the power consumption. This project will be fully tested and integrated in future missions. At the competition, UBC AeroDesign passed all static events and the technical inspection easily because of thorough preparation. North Star flew in three out of the four rounds of flight and lifted a total of 27.1 pounds. During the fourth round of flight, the plane spiraled down from several hundred feet and crashed (spectacularly) because the power limiter was triggered. This put the team just four points short of finishing in the top ten. The team of 32 members are very proud of their efforts in designing and building an entirely new plane design. Already, the team has begun assessing the competition plane and repaired it for test flights. These test flights in the summer will be used to benchmark for next year’s design. Team members at the 2016 competition from top left to bottom right: Ichsan Ausri (3rd Year MECH), John Siu (Team Pilot), Walter Teo (3rd Year MECH), Angus Wong (3rd Year MECH), Siddhant Malik (3rd Year MECH), Nicholas Hui (3rd Year MECH), Arthi Muniyappan (Team Captain, 3rd Year MECH), and Tharesh Liyanage (3rd Year IGEN). 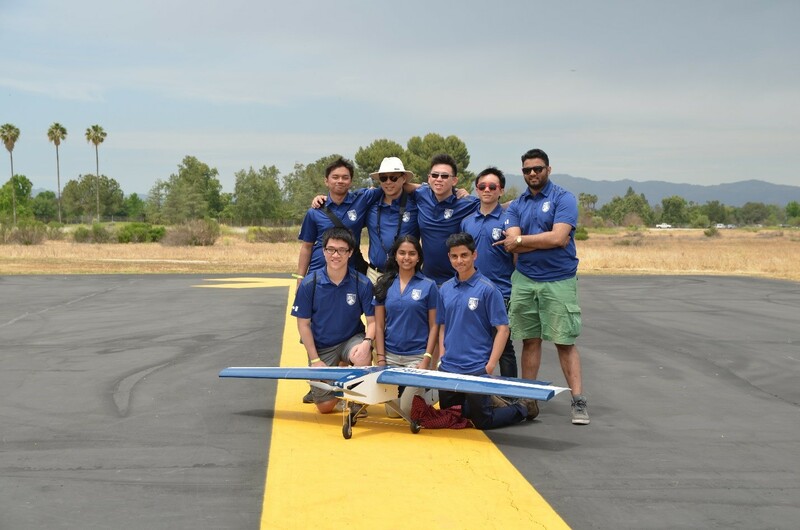 The UBC AeroDesign Team would like to thank Dr. Carl Ollivier-Gooch (Team Faculty Advisor) for his support and Mr. John Siu (Team Pilot) for flying the plane at the competition. The team is also grateful for sponsorship from: UBC Mechanical Engineering, UBC Engineering Professional Activities Fund, Walter H. Gage Memorial Fund, Association of Professional Engineers and Geoscientists of British Columbia, Society of Automotive Engineers British Columbia, and many other corporate companies. For more information, please visit www.ubcaerodesign.com, or email ubcaerodesign@gmail.com to get in touch.